A systematic analysis of the ways in which minority nationalist party attitudes towards European integration have evolved from 1979 to 2005. Original empirical data on hitherto under-researched minority nationalist parties in Wales, Galicia and Corsica. Major new insights into the European attitudes of minority nationalist parties. 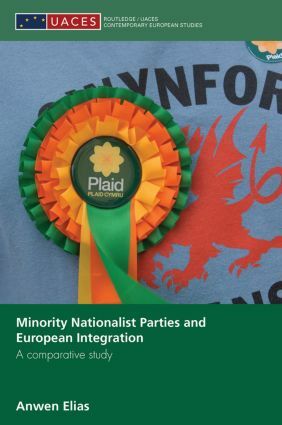 This book challenges the general assumption in the academic literature that the minority nationalist party family will always be pro-European and demonstrates how it needs to be revised in light of the evidence provided by this study. It will be of strong interest to students and scholars interested in minority nationalism, the Europeanisation of political parties, comparative research on regional politics and in contemporary debates about nationalism.